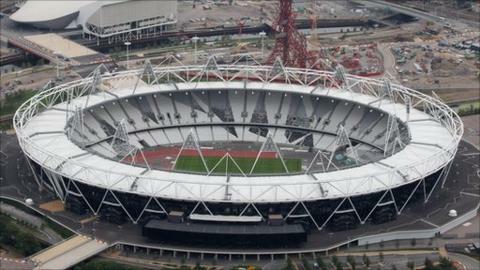 London 2012: How strong are Team GB with a year to go? With a year until the opening ceremony for the London 2012 Games, how does Great Britain rate in the 26 Olympic sports? UK Sport's "traffic light" system helps us identify where Team GB needs work or is performing well. Red = Disappointing performance by athletes or poor governance and leadership; Amber = Challenges identified that require attention or increased support; Green = Progress deemed to be on track. Governing body Archery GB says it has seen encouraging performances at this year's World Cups and grand prix events. The sport believes it is beginning to make better use of its Lilleshall base and a new performance manager is now in place. However, the only medal GB won at the recent World Championships in Turin was bronze in the mixed team event, which will not feature in the Olympic programme. Watch out for , world number one in the non-Olympic compound category, who has switched to the Olympic recurve to take part in London 2012. Head coach Charles van Commenee has already set a target of eight medals in London, with at least one gold, and the World Championships in South Korea in August will be an indicator of whether he is on course. He believes the current squad is much stronger than the one assembled in 2007, one year out from the Beijing Games, with the field events the one remaining area of weakness. But athletics, arguably the most high-profile of the Olympic sports, has occasionally been sidetracked by off-track rows this year, including an ongoing argument between Van Commenee and Phillips Idowu over the world champion triple jumper's use of Twitter. Badminton has been through a long strategic review following a turbulent year off the court and now has a new performance director in post. They will have taken heart with five medals for England the Commonwealth Games last October, including a silver for singles player Rajiv Ouseph. However, a tough draw for all of the British competitors for the World Championships, at Wembley Arena next month, will not help them to show there has been a turnaround in fortunes. Great Britain will enter the unknown in 2012 when they play basketball at the Olympics for the first time, following a decision by world governing body Fiba to allow them to take up host places. The women's team have been pleased with a second-round place at the recent European Championships - their first appearance at the event - despite problems with player unavailability as many study at universities in the United States. The men's team are considered an outside chance for a 2012 medal after securing the services of NBA stars Luol Deng and Ben Gordon, and developing consistency under coach Chris Finch. Their Eurobasket campaign takes place in September in Lithuania. Having lost almost all of the squad that competed in Beijing to the professional ranks, Great Britain have built a strong new group, training under head coach Rob McCracken in Sheffield. Women's boxing features in the Olympics for the first time in 2012, with Natasha Jonas and Savannah Marshall among the Brits eyeing medals. GB Boxing is confident it can deal with issues arising from the international governing body's decisions to ban professional coaches such as McCracken from the corner at Olympic bouts in 2012. The sport will have read with interest recent research that shows home crowds could help sway judges in favour of British athletes at the Games. Tim Brabants was Britain's only sprint canoe medallist in 2008 but a crop of youngsters have joined him in a strong squad for the World Championships in Hungary next month. Among them are Ed McKeever - defending champion in the kayak single over 200m, which is a new Olympic class in 2012 - and Paul Wycherley, who beat Brabants for selection for the K1 1000m in a recent race-off. The slalom squad has not stepped up to the same extent, with a bronze for canoe double David Florence and Richard Hounslow the only reward from last year's Worlds. There is some concern over access to training facilities at the Olympic venues - Lee Valley White Water Centre in Hertfordshire for slalom and Eton Dorney near Windsor for sprint - in the lead-up to the Games, and British Canoeing says "solutions are being explored". The 14 medals from Beijing may prove difficult to repeat because of changes since that brought an alteration to the programme of events and a rule restricting nations to one rider (or team) per event. Tour de France hero Mark Cavendish will look to lay down the gauntlet with a victory in the World Championship road race in Copenhagen in September, and to follow it up by taking Team GB's first gold of the Games on the Mall on 28 July. Lizzie Armistead, who has won five world medals on the track in the last two years, could be one of those to benefit from the increase in women's events, and also has a chance in the road races. Shanaze Reade, the big hope in BMX, may not compete in the World Championships in Copenhagen this weekend because of injury but has her sights on the London test event in August. Britain missed their target of a World Championship medal in Shanghai last week, in part because of injury, illness and personal problems. Athens silver medallist Pete Waterfield has been resurgent since forming a synchro partnership with Tom Daley but struggled with flu and a wrist injury as the duo finished sixth in China. Daley has missed some recent competition as he mourned the death of his father Rob in May and the teenager could only finish fifth as he attempted to defend the world 10m title he won in 2009. Dressage has been Britain's strongest event of late as Laura Bechtolsheimer moves up to second place in the world rankings. There is major competition even to gain a place in the eventing team for 2012, with five spots on offer and more than a dozen contenders, both male and female. Showjumping appears to be the weak link, with no Brits in the world top 30, but the British Equestrian Federation believes that is down to ranking complexities and is confident GB will be medal contenders. No medals and disappointing performances at this month's European Championships in Sheffield will have provided much for new performance manager Alex Newton to contemplate, as the sport begins a .
Foil competitors Richard Kruse and Laurence Halsted get another chance to prove their potential at the Worlds in Italy in October. British Fencing has still not found a permanent training venue with full-size Olympic pistes for the squad and there is talk of building a national centre after the Games, possibly by taking over a venue within the Olympic Park. British gymnasts won two medals at the European Championships but there are fears injuries may have an impact on results at the 2011 Worlds, to be held in Tokyo in October. Veteran Beth Tweddle remains in form as she prepares for a swansong in London, while 2009 world all-around silver medallist Dan Keatings is back in training after a year-long layoff with a knee injury. And teenager Sam Oldham's fourth place on the high bar in Berlin brought further grounds for optimism. Olympic bronze medallist Louis Smith will look to improve his consistency in Tokyo after falling off the pommel at Euros, as he did at the 2009 Worlds in London. In another sport where Great Britain have benefited from automatic host places, the women's team currently look stronger and are benefiting from a return to centralised training at the national centre in Crystal Palace, south London. They beat Finland to reach next stage of Euro 2012 qualifying but now face world champions Russia among others. Britain's men, meanwhile, clinched their first competitive international victory in June 2011 and have a new captain in Bobby White, taking over from Ciaran Williams. A new blue pitch, mimicking the one to be installed inside the Olympic Park for London 2012, is being used by GB teams in training at Bisham Abbey. Competing as England, the team will take part in their last major international competition pre-London 2012 at the European Championships in Germany next month. The men, who in 2010 were World Cup semi-finalists and silver medallists at the prestigious Champions Trophy, are aiming to defend their European title. The women's team were fifth at the recent Champions Trophy in Amsterdam, having won World Cup bronze last year. Olympians Sarah Clark and Euan Burton have regularly won world-class medals over the last few years, and can prove their form at the World Championships in Paris at the end of August. Highly rated youngster won his first World Cup event in February and Craig Fallon has returned to the sport after taking two years out following the Beijing Games. Great Britain's women have won Olympic medals at every Games since the event was opened up to both genders in 2000 and there are currently six women competing for two spots. And the men's squad are improving, as Nick Woodbridge showed by winning bronze at the recent test event in Greenwich. The European Championships in Kent this weekend provide a chance to qualify 2012 places. Given their 10 medals, including four golds, at the World Cup regatta in Lucerne last month, the target of six medals of any colour at September's World Championships in Slovenia appears conservative. Even if they fail to reach the podium in Bled, GB are likely to qualify for places in at least 13 of the 14 events at London 2012, with the women's single scull the only weaker area. GB's women have yet to win Olympic gold but successive world titles for double scullers and Anna Watkins would show they are on track to break that duck in London. Since Beijing, the British squad has improved its depth in sculling and has benefited from talent identification schemes, targeting suitable athletes in schools and universities, based on physique, and teaching them the sport. World Cup success across sailing's disciplines has resulted in a haul of 14 medals for Great Britain, including nine golds, in recent months. And GB performance director Stephen Park has said he expects the team to be medal-competitive in all 10 events in a year's time. August's test event in Portland and Weymouth should showcase a GB squad similar to that which competes at the same venue in 2012, with any necessary tweaks being made before the World Championships in Australia in December. But the team must earn the right to compete in the remaining six disciplines, one of which is the men's double trap - won by Britain's Richard Faulds at the Sydney 2000 Games. Three additional quota places have been secured to date. Shotgun competitor Peter Wilson is in form ahead of the World Championships, having won two World Cup events this year. Keri-Anne Payne is already sure of her place in London, having become the first British athlete to qualify by winning the 10k open water title at the World Championships in Shanghai last week. Great Britain are enduring mixed fortunes in the pool this week, though, with Rebecca Adlington's 400m freestyle silver the only medal to date, though five days of competition remain. Britain's synchronised swimmers have been told by their governing body to focus on improving the technical difficulty of their routines ahead of 2012. The sport's governing body is prepared to admit that success for any British table tennis players at London 2012 "will be a challenge", with a place in the top 100 currently proving tricky enough. Paul Drinkhall reached a career-high world ranking of 81 in the latter part of 2010 but has dropped since, and has moved to Italy in search of more regular challenging competition. Great Britain won four medals at the World Championships in Korea in May, including three in events GB will contest at the Games, to exceed their target for this year. However, former world number one Aaron Cook suffered a surprise first-round defeat and has since . Alistair Brownlee won the world title in 2009 and - after an injury-hit 2010 - is on course for victory again this season, while his brother Jonny is an increasing presence on the elite circuit. The duo secured a one-two at the European Championships, although a shadow was cast over that result following the suspension of team-mate Harry Wiltshire on Monday for unsportsmanlike conduct in the event. And British Triathlon has admitted to issues arising from the recent resignation of its head coach, with some athletes concerned about the squad's preparation for London 2012. Great Britain are considered unlikely to win medals in any of the four disciplines - men's and women's indoor and beach - but have made strides in 2011. The sport has been forced to address major funding issues but the women's indoor squad appear better-equipped for London 2012 than a year ago. They played world number three side Japan and 12th-ranked Netherlands twice in the space of four days at last weekend's test event at Earls Court and say they have benefited from the experience, despite defeat in all matches. Teenage lifter Zoe Smith has had an up-and-down 12 months, with a Commonwealth bronze in Delhi and a world youth silver in Peru coming either side of a suspension for a perceived lack of commitment. British Weight Lifting admits disappointment having failed to field any British men at the senior World Championships because of injury. British Wrestling has admitted to a "difficult phase" in preparations for 2012, having won a single bronze at the European Championships in Germany in April. There has been some frustration from British-born wrestlers that competitors brought in as training partners have since qualified to represent Great Britain and could form the bulk of the team at 2012.
Who are Britain's big rivals for 2012? Read more on Who are Britain's big rivals for 2012? What will a British Olympics stand for? Read more on What will a British Olympics stand for?